Note: The introductory clause on all breed standards includes the phrase: However if a dog possesses a feature, characteristic or colour described as undesirable or highly undesirable it is strongly recommended that it should not be rewarded in the show ring. Therefore, a judge must consider this in judging dogs and assessing any faults presented. 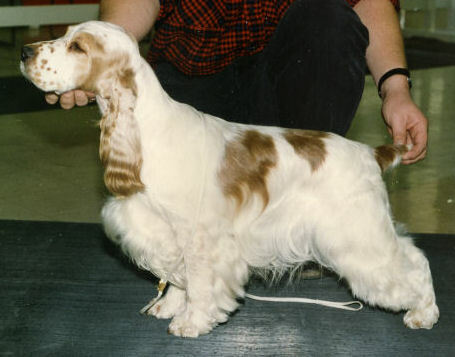 It may be that none of the dogs within a class are worthy of placing if they all possess faults. There is no requirement within the Regulations to give awards if dogs are not of a suitable standard. Judges are required to withhold awards where there is not sufficient merit or if a dog possesses a feature that is mentioned in the standard as undesirable or highly undesirable. The wording above is clear – if the colour is undesirable then the judge should not reward it.